Below is a listing of all the Sunday School classes that are currently meeting. Find the one that fits you, and come join us on Sunday - we'll be expecting you! 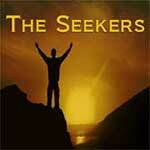 The Seekers - Do you feel that you just cannot find the answer to what you're looking for in the Bible? This class is a group for men, who search deep into the Bible to find the answers to those questions. This class is for men age 18 and up. 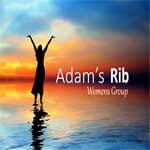 The Adam's Rib class is specifically for women, by women who dig deep into Word of God to reveal who He is, and to draw closer to Him. This class is for women age 18 and up. The Covenant class is designed for married folks who just can't bare the thought of being in separate classes. Join us, as we unfold how God wants to work in and through your marriage! This class is for married folks. The Joy class is for our seniors. Come and join our energetic group as we grow closer to God and His Word. You don't want to miss out on this class! This class is for seniors age 55 and up. Children's Sunday School Classes are provided for children in all age groups. We take the spiritual development of each child seriously. Every child is actively engaged in the Bible to ensure their spiritual growth. These classes are for children age 1 to 11. The One Eighty class is geared for teenagers. Students will learn what it means to be a follower of Christ, and how to be a light to others in this world. This class is for youth age 12 to 17.